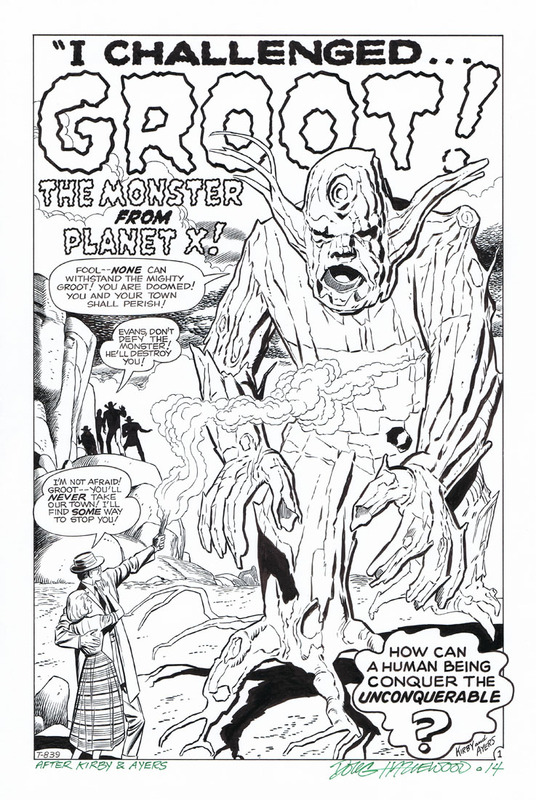 Posted October 6, 2014 in Doug Hazlewood, Groot, Jack Kirby. 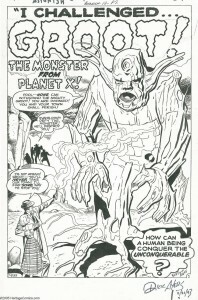 Two new Kirby recreations from the brush of Doug Hazlewood. 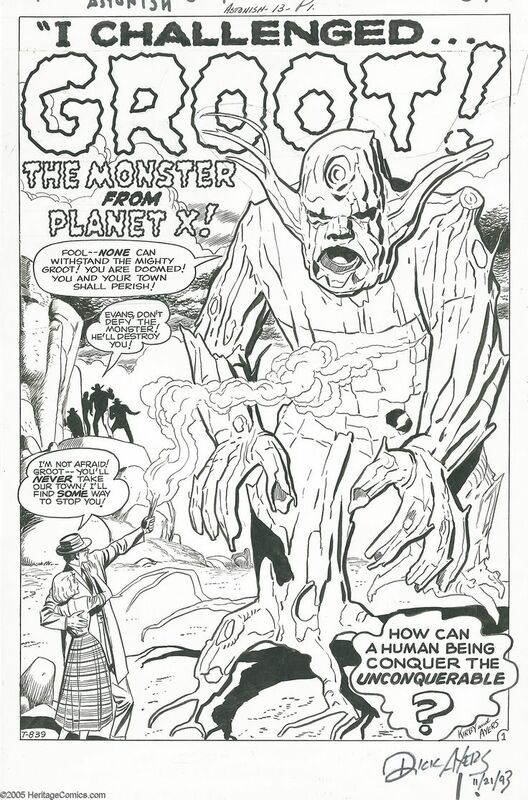 Doug Writes: “Here are two more recent Kirby recreations. 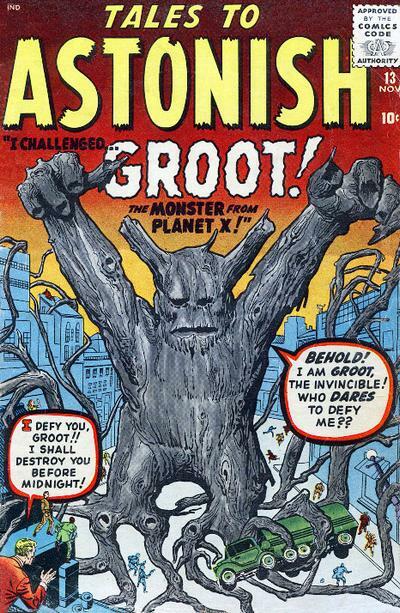 The title splash to TALES TO ASTONISH #13 and the cover to the same issue. This was the first appearance of Groot! The splash was by Kirby and Ayers. 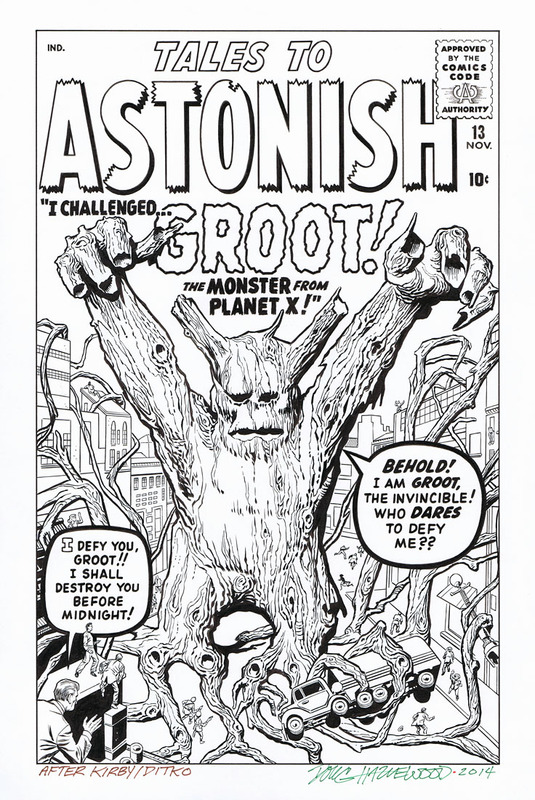 I wasn’t sure about the cover (as the rendering on Groot is certainly more detailed/textured), but it has been attributed to Kirby and Ditko most recently. Most of the people are so small it is hard to see Ditko in them, but I guess that explains the difference between the cover look of Groot and on the splash. Both were inked over printed bluelines with most of the lettering ‘held’ in black and then the lettering is touched up with India ink. I had to work from a scan of the comic for the cover recreation and upgrade some of the lettering (like the logo) since I could not drain/bleach everything out in Photoshop perfectly”.